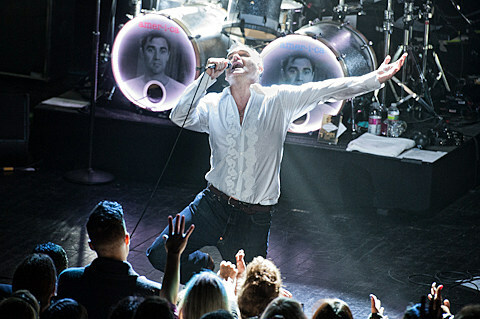 Morrissey has been without a label for years. Amanda Palmer suggested he go the crowdsourcing route, but he’s an old school kind of guy. Moz announced today that he’s signed a two-record deal with Capitol imprint Harvest (home to together PANGEA and Death Grips). He’ll decamp to France next month to begin recording his new album with veteran producer/engineer Joe Chiccarelli, who’s worked with everyone from Elton John and Bon Jovi to Oingo Boingo and Beck. This will be his first album since 2008’s Year’s of Refusal. Meanwhile, Morrissey’s Autobiography has been a substantial hit, his single, a live version of Lou Reed’s “Satellite of Love,” is out now (streamable below) and the reissue of Your Arsenal is out in February.